Shields make stunning statement pieces as decorations above mantles or in hallways. 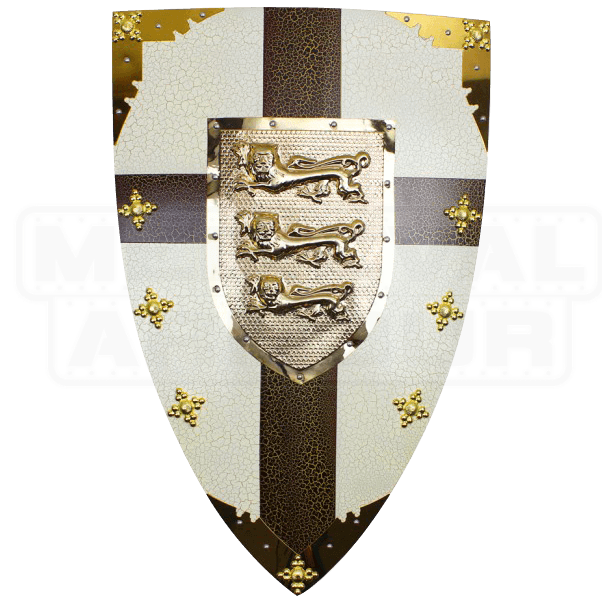 This Steel King Richard the Lionheart Shield pays homage to an epic English king. The shield features the iconic shape of medieval heater shields. This full-sized shield is made with a high-quality stainless steel metal. Its classic triangular shape is decorated with brass appointments at the corners and throughout the edges. The shields field is white with a dark cross, and there is a cracked effect that offers an antique look. In the center of the shield is King Richards famous coat of arms, depicting a trio of passant guardant lions. 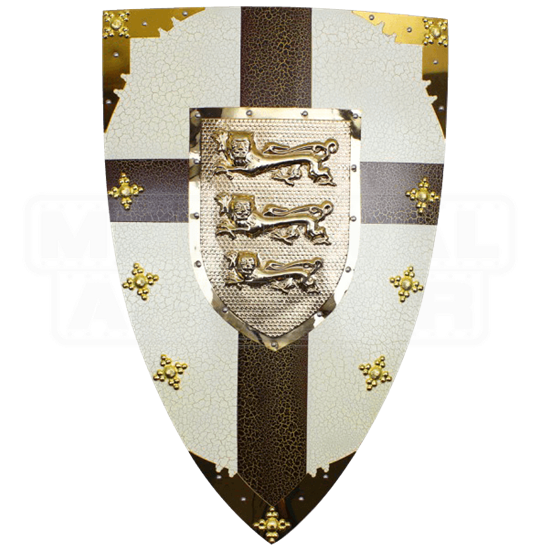 This shield will make an incredible costume accent or a wonderful decoration, hung by the chain on the back.